Congratulations! You’ve been accepted as the only human student at the prestigious St. PigeoNation’s Institute, a school for talented birds! New Scenario and Ending: Series creator Hato Moa has created an all‐new scenario and ending to discover in this exciting update for fans of the original game and brand‐new Hatoful Boyfriend players! Replayability to Fall in Love All Over Again: Build your own nest of intrigue within the St. PigeoNation’s Institute with genre‐bending intertwining narratives, hidden stories, surprise paramours, and multiple endings sure to send you back to the start to try a new path and a different love interest. ​Congratulations! You’ve been accepted as the only human student at the prestigious St. PigeoNation’s Institute, a school for talented birds! Roam the halls and find love in between classes as a sophomore student at the world’s greatest pigeon high school. 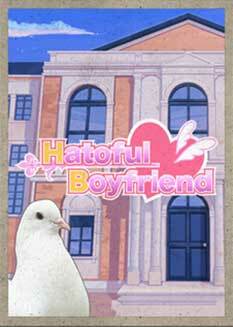 Finding happiness won’t be easy, but it’s not all academic ‐ there’s always time for a little romance in this delightful remake of Hato Moa’s popular visual novel / avian dating sim Hatoful Boyfriend!